June the 8th 2017 on the Summer afternoon our School held its Annual Concert. 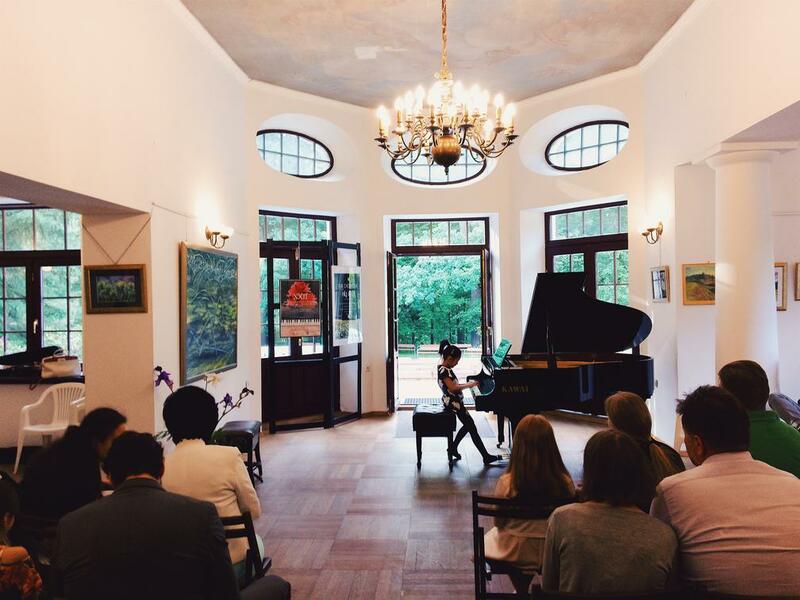 The Concert took place in the manor-house Fangorówka in the beautiful Botanic Garden od the Polish Academy of Sciences in Powsin. 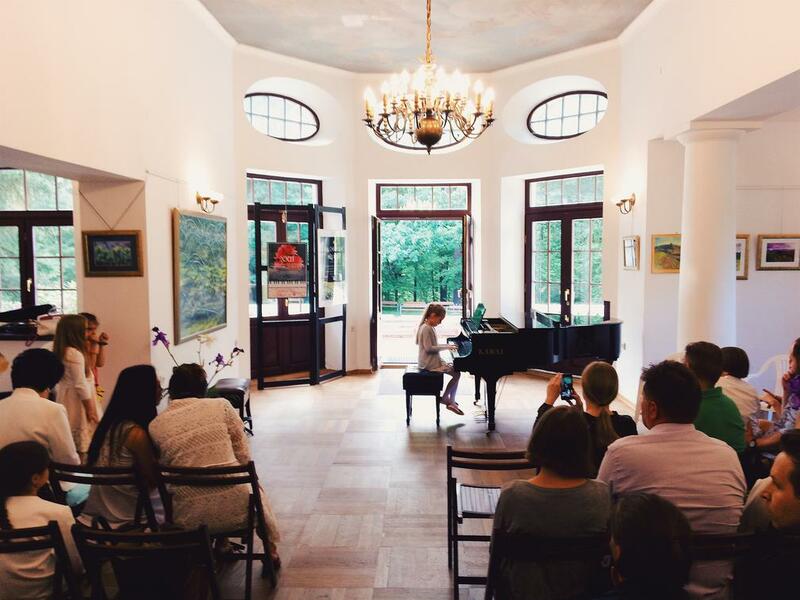 The sounds of music reverberated in the concert hall decorated with paintings presenting Polish beautiful landscapes. The Concert was opened by Ola Kmiecik (class of piano) and T.K. Lee (class of violin) – both also students of vocal class of prof. Alicja Zdrojewska. For both of them it was their first vocal performance in public. The audience applauded their singing. Class of guitar (prof. Krzysztof Komarnicki) was represented by Andzelika Czigiloj who played Ferdinando Carulli’s Larghetto and Peter Nutalli’s Serenade. Madeline Hojer (prof. Zofia Zwolinska class of violin) who also attends class of piano (prof. Julia Leviuk) played Knipper’s Polje poljuszko. Natalya Voloshina played firs part of the Violin Concerto by Johann Sebastian Bach, and this rendition ended our Annual Concert 2017. After the Concert it was time to hand over Diplomas to our students. The students who participated in our concerts during the school year 2016/2017 received diplomas with distinction. At the end of the event Zofia Zwolińska, Director of the Unisono Music School, expressed her thanks to all students and their Parents, Grandparents and family members who supported them during the entire educational process at school and at home. She also expressed her gratitude to all teachers who worked hard to achieve satisfactory effects in teaching. After the concert, as usual, it was time to distribute chocolates and other candies among pupils and guests. This task was executed by Liza Pietraga who also conducted the concert and announced the performers. Have beautiful vacations and see you next year !